We thought now would be the perfect time to look back over the past year and celebrate all of the different things that Funktion as a whole has accomplished. 2018 for us started with a brand new website! We wanted to refresh our look and make our customers experience online a whole lot more enjoyable, with the addition of online individual payments for all our events. It took a lot of time and effort from the whole of the marketing team but by the end of 2017 we had all of the content up ready for the new year and the new websites official launch. This year we have been extremely busy not just with our work but with our team building events. Here at Funktion we believe that it is important to reward your team and use various events to improve their overall work. And we have the pleasure of making these experiences possible for teams all over the UK! 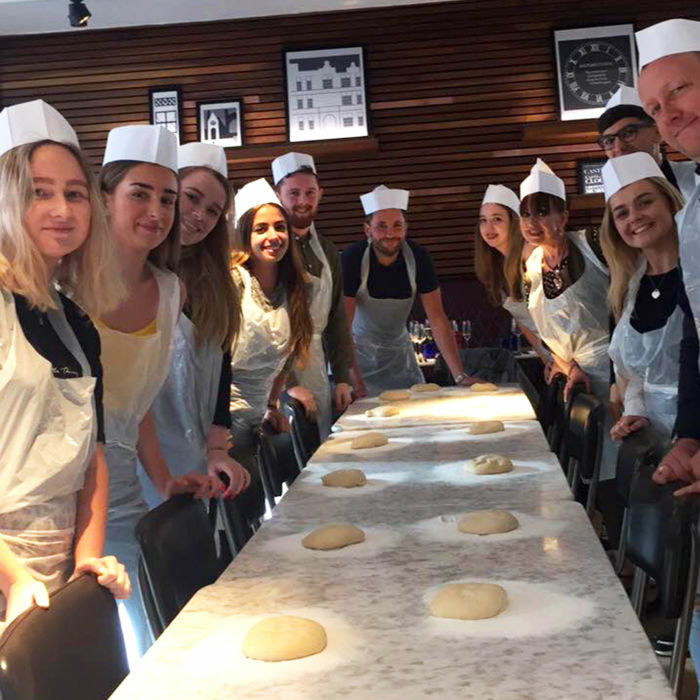 We had a tasty treat off of our local Pizza Express when we got involved with a Pizza Making Class. It was the perfect after work indoor team building activity for everyone to enjoy. Each year we also make our own Funktion Events Bake Off whilst The Great British Bake Off is on our screens. 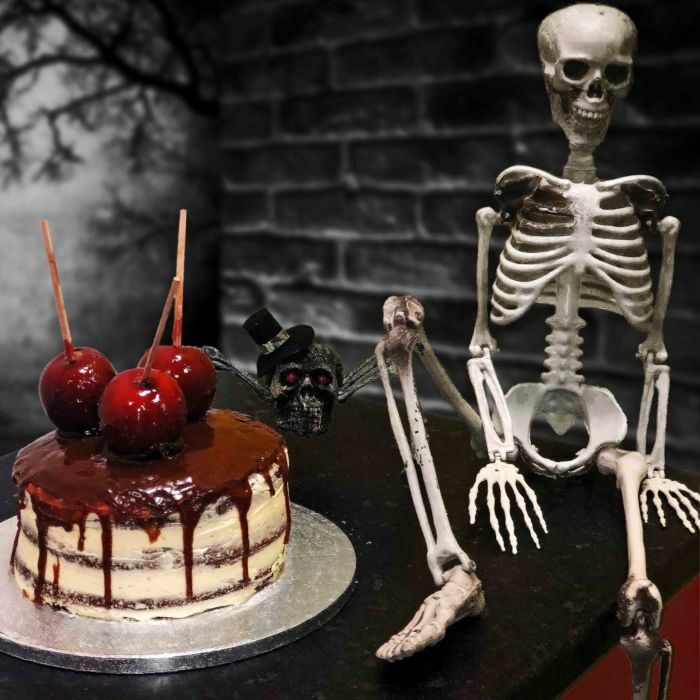 The winner this year was our Managing Director Jay with his Apple & Cinnamon Spooky Cake! A strong favourite of our teams is Cocktail Making and this year we were lucky enough to try out the Cocktail Making Class hosted by our local Las Iguanas. Amongst our day to day work we often enjoy Team Meals during lunch time and after work. It is the perfect time for us to get together and chat about work and general life. We got our blood pumping with the popular Sports Megamix towards the end of the year. It was the perfect light hearted activity that we could have some fun with. 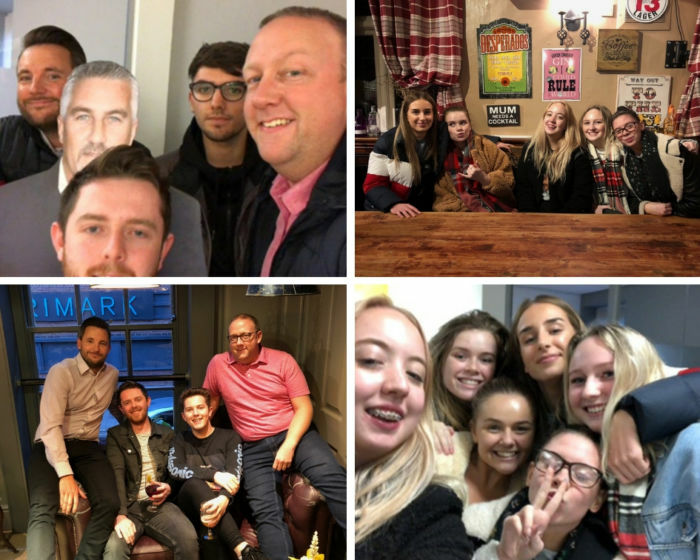 Throughout the year we have also had some Team Nights Out. They were great for enjoying each other’s company outside of the working environment. A historic moment also happened this year in our very own city. Queen Elizabeth and Princess Meghan’s Royal Visit. Which our team was lucky enough able to head out of the office for! We explored our local city with the Smartphone Pub Treasure Hunt where we had a competition of boy’s vs girls. The boys won. WINNER - Our Managing Director went to the Cheshire & West Cheshire College Awards and won an award for the small business appren­ti­ceship and ambassador of the year! Wow we really did do some amazingteam building activities together. 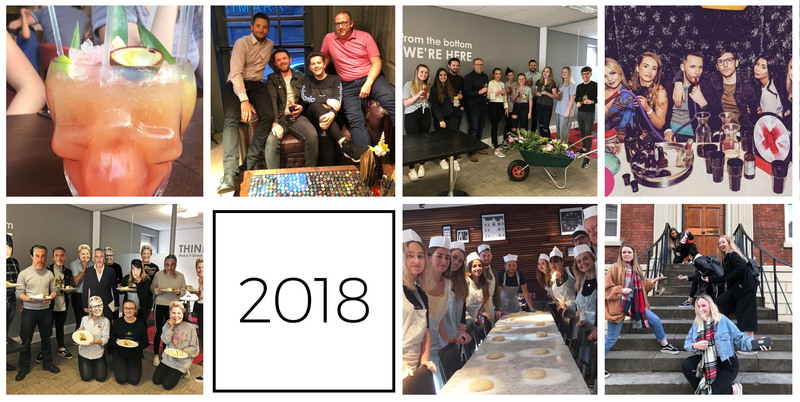 Throughout 2018 our marketing team have been getting everything to do with our overseas locations and activities for both hen and stag ready to market out to our customers for 2019. It was an extremely exciting time for the whole of the Funktion team as we got to see all of the new things we will have to offer. Towards the back end of 2018 the Funktion team had grown. In August and September, we had two new members of our team and in November we welcomed another two new members. This was an exciting period of time as it is always nice meeting new faces and seeing our Funktion team grow so much! We launched our annual £75 worth of hen party accessories in January which ran through to March. We got our Facebook followers to like & share the post and like our page to be entered – always a popular one! The other competition we launched this year was for Halloween week where we asked everyone to again like & share the post and comment a photo of their best fancy dress costume. As well as our competitions we also had a handful of offers running throughout different times of the year. 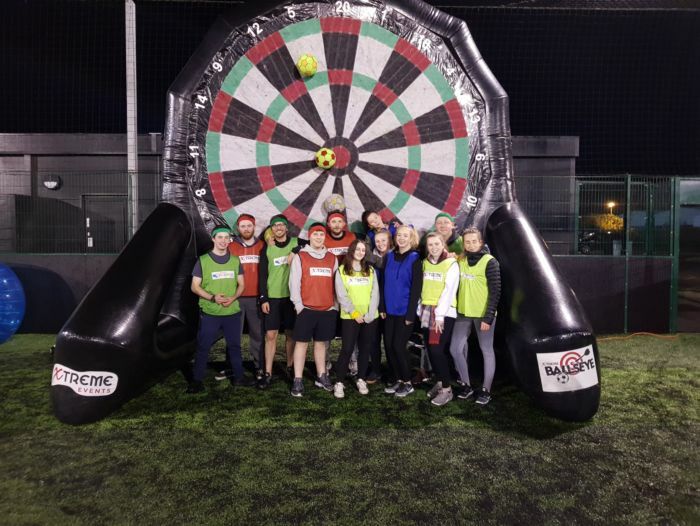 The first was our stag/hen 2 activities for £54 offer, it’s the perfect deal to get more for your money, especially when you can’t decide on just one activity for your celebrations. A new offer we tried this year was our Black Friday Offer during Black Friday week. Here you were able to get discounted packages with hen party accommodation & stag do accom­moda­tion. Our Early Bird Offer is another we do every year which runs from September to December where you only have to pay 50% of your deposit for your 2019 booking. To show how much of a deal you get with our packages we always give the hen a free place or the stag a free placeso that they can enjoy the experience without the price tag. 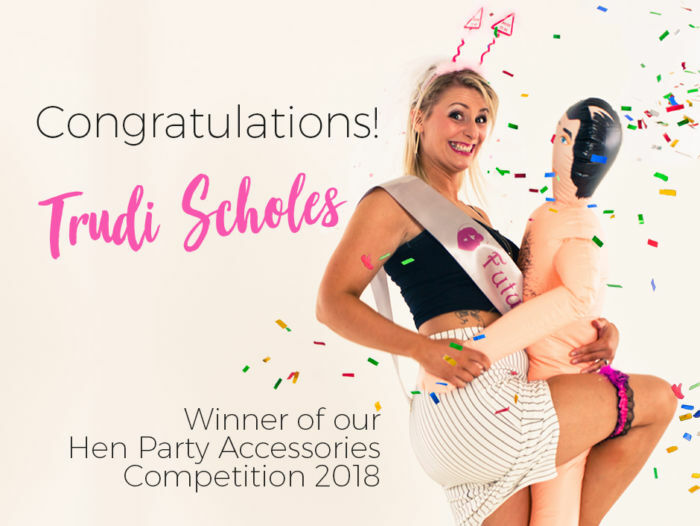 And as well as all of our offers and competitions throughout the year we also have some free hen party supplies and stag do supplies that you can always get your hands on. These are things like hen party games, stag do games, hen party checklist, stag do checklist, hen/stag t-shirt names & phrases list & the Mr & Mrs quiz. And that is a roundup of 2018 with Funktion Events! We hope your year has been full of fun, accom­plishments and that 2019 is just as amazing!